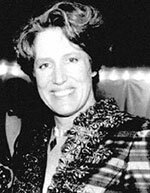 The Liff Fund was established to honor the legacy of Boston’s former Parks Commissioner, Justine Mee Liff, who died in 2002. Her vision, leadership, and dedication have encouraged continual restoration and enhancement of the historic Olmsted-designed Emerald Necklace parks. The Party in the Park reflects how Justine brought people together to support and restore the parks. The Liff Fund supports the Emerald Necklace’s renewal initiatives including major capital improvements like buildings, pathways and footbridges as well as landscape restoration and other specialized activities such as planting trees, and installing lighting, signage and park furniture. Joining with park advocates and public and private partners, the Liff Fund chooses projects in various areas of the Emerald Necklace to continue the careful park restoration and stewardship work begun by former Parks Commissioner, Justine Mee Liff. Since its inception, the Justine Mee Liff Fund has allocated more than $2.9 million undertaking the following projects. Olmsted Tree Society, launched at the 10th Anniversary Luncheon in 2013, has raised over $2.3 million for the Tree Management program, including: comprehensive tree inventory, database and georeferencing for heritage trees; and planting, pruning and tree care in the Emerald Necklace parks. Proceeds from Party in the Park have funded the Olmsted Tree Society since 2014. 2018: The 15th Anniversary Project is the installation of five water fountains in Franklin Park to enhance the public’s enjoyment of walking trails, picnic grounds, and recreational facilities in Boston’s biggest park. 2018: 1,000 additional trees were inventoried in Franklin and Charlesgate Parks. Adopted heritage trees were pruned along with the willow trees in the Back Bay Fens. These projects are made possible by the support of all those who have contributed to the Justine Mee Liff Fund.